Starring: DAISY RIDLEY, JOHN BOYEGA, OSCAR ISAAC, ADAM DRIVER, DOMHNALL GLEESON, GWENDOLINE CHRISTIE, LUPITA NYONG'O, HARRISON FORD, MARK HAMILL, CARRIE FISHER and more!! Sold only in Japanese theaters during the film’s initial theater run in 2015! Size: slightly bigger than regular Japanese movie program: about 9" x 12"
Filled with all color photos from the film and more! An absolute MUST for any STAR WARS fan! 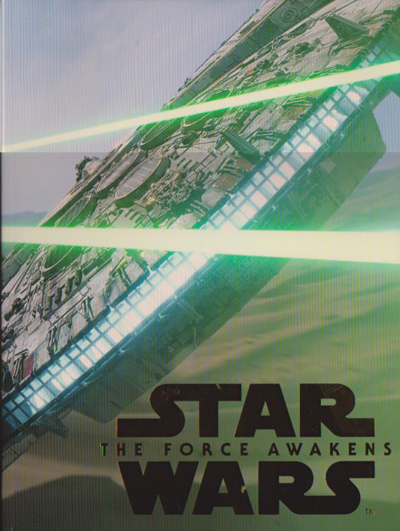 Click the button below to add the STAR WARS The Force Awakens JAPAN Movie Program to your wish list.